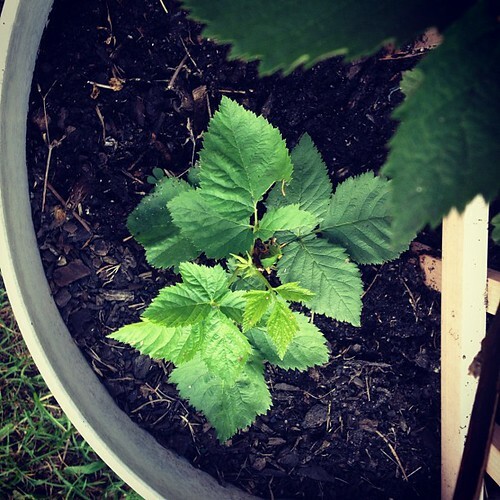 Day 146: Newly sprouted berry vine, originally uploaded by Sharon Gerald. Last year I bought a blackberry vine and decided I didn’t have the energy to dig up a place to put it. I ended up sticking the vine and a trellis inside a bucket. This year, the original vine is thriving, and a new little vine has sprouted up. I figure I should transplant the little vine to its own bucket with its own trellis. If this keeps up, in a few more years, I should have a real blackberry bucket vineyard established.